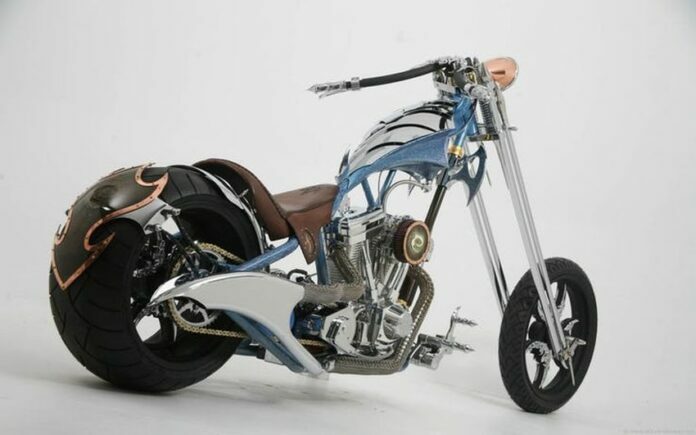 American Chopper started in 2003, and was one of the most popular motorcycling shows. It focuses on Paul Teutul Sr, his son Paul Teutul Jr, and their company, Orange County Choppers. It is located in Orange County, New York, and was dounded in 1999. 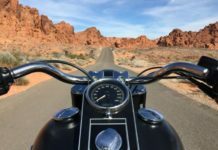 They focus on restorations and customizations of choppers built in the US. It was interesting mostly because of the differences between the visions and styles between father and son. Intense arguments and fights were regular. Of course, they made some great bikes over the years. Let us now see the best of their work! The father and son were famous for their disagreements, and it was a matter of time before they split the business. Paul Junior quit Orange County Choppers and set up his own company as mentioned. 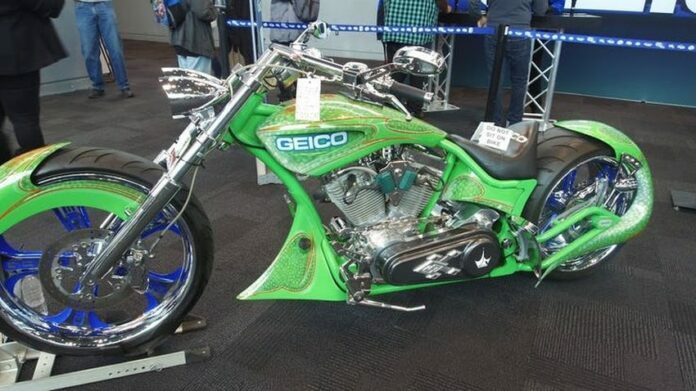 He began creating exceptional masterpieces, and the Geico was the first bike to cement him as an artist. 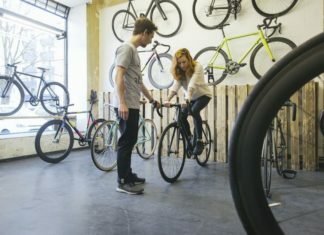 The bike is inspired by the famous Geico insurance company, and included a curling tail with eye-catching green paint job. The Fire Bike happened early in the show, in episodes 5-7 of Season 1. It had an emotional element, due to the reason it was made. It had input from almost everybody at Orange Country Choppers, and was a tribute to the hero firefighters who served during and after the 9/11 attacks in New York. 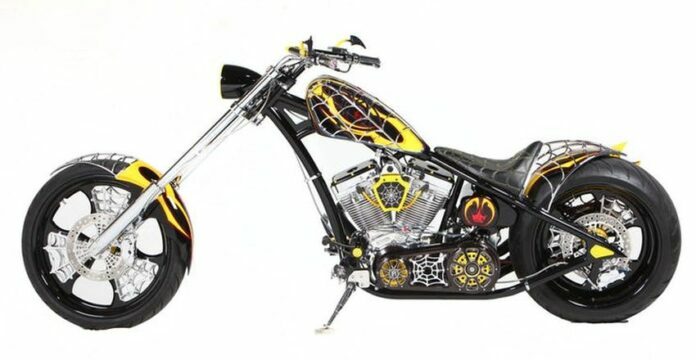 Paul Sr. later said, “it’s not just an Orange County Chopper, it’s a New York City Chopper.” The motorcycle is regarded as one of the best and most sentimental of the company. In Season 4 Episode 19, the team wanted to make a dragon-like Eragon bike that turned out great. It was based on the 2006 movie of the same name, which starred some big celebrities. Like the movie, dragons inspired the bike. The handlebars and saddle looked like the body of a dragon and the whole bike was painted electric blue making the bike look extra cool. It did not really look like a dragon, let us be honest. It is still a magnificent bike, make no mistake. This one was heavily criticized over the years as one of the worst bikes they made. Fans said it was ugly, ridiculous and a clash of styles. They also hated it for its pointy edges and the positioning of the exhaust under the tank, and the spikes all over the bike. Although most hate the design, it is very unique. What other kind of bike has spikes on the wheels and is covered in pointy blades? None, that is what, which is the point here. Paul Sr. and Paul Jr. fought so much that they also had a show called Senior vs Junior. 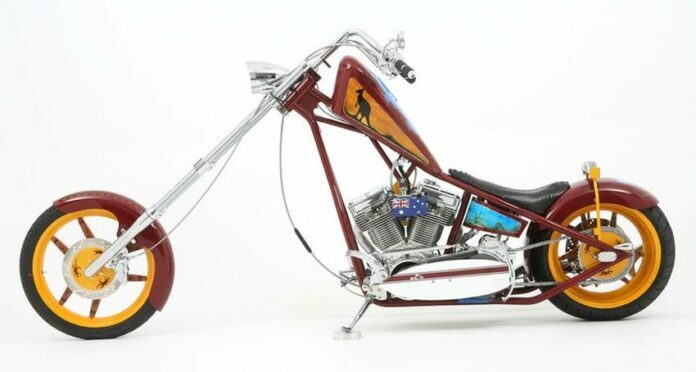 It produced a number of awesome choppers, both classics and futuristic models. The Cadillac generated the most interest, branded as one of the best by Paul Junior. 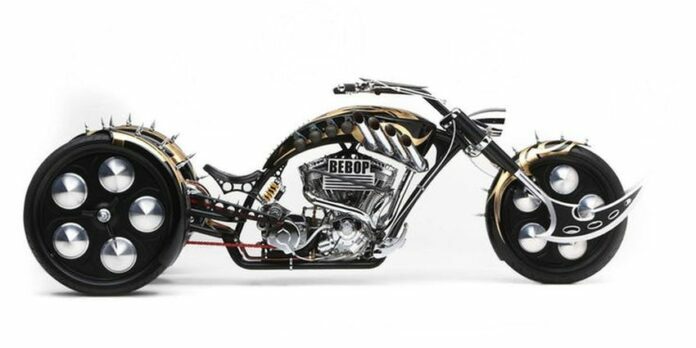 The premise is to make a bike inspired by one of the classic cars, the Cadillac. Junior delivered one of the classiest bikes on the planet with this one, which was later auctioned for a charity. 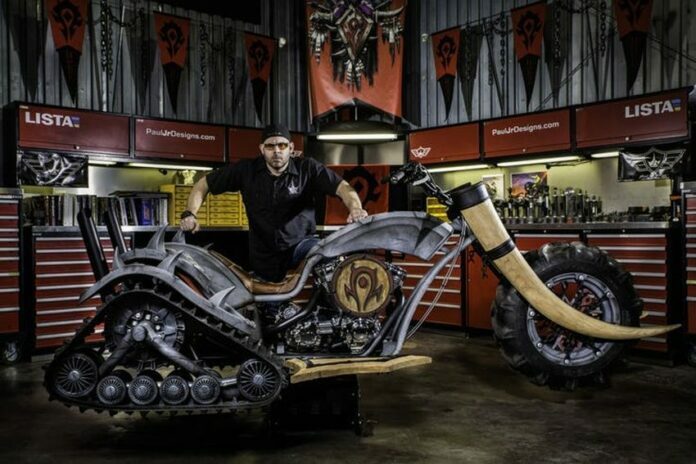 This bike was created to celebrate the launch of a super popular video game Gears of War 3, set in an alien-infested post-apocalyptic future. It was presented at Comic-Con International in San Diego, so the team at set to produce one of the best and most spectacular bikes ever. It was unconventional and ended up a three-wheeler. The game designers were more than impressed. The game launch was a big success with gamers all over the world witnessing the awesomeness. The Anti-Venom immediately wins one of the coolest names. It is also famous for finally splitting father and son. They had a rocky relationship on the show for years and were at each other’s throats. They went their separate ways, and Junior set up his own shop. 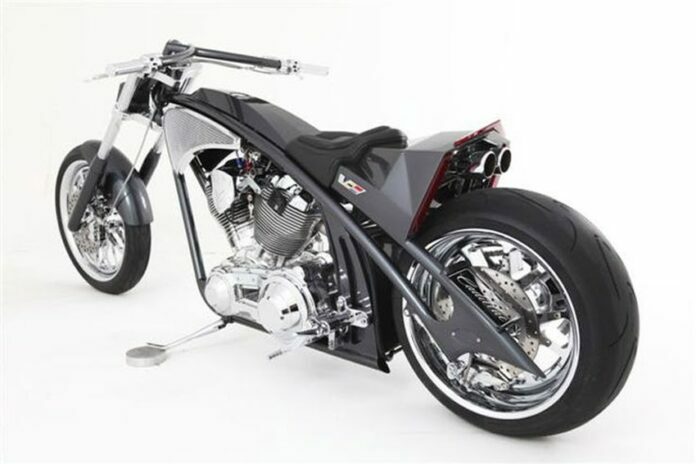 The Anti-Venom was the first bike to come out of the new show named Senior vs Junior, and Junior wowed audiences around the world. The first episode of the original show had to be special, and Orange County Choppers passed the test. Episodes 1 and 2 saw Junior create one of the most beautiful machines,s till spoken bout today. 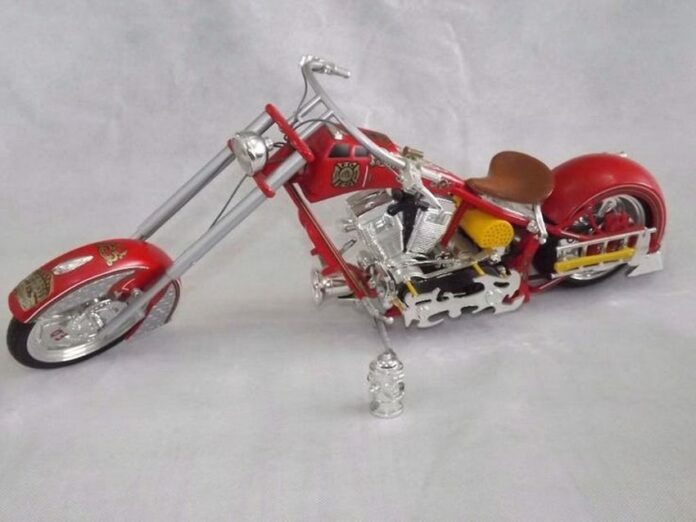 It was this bike that introduced audiences to Junior’s strange obsession with spiders and webs, which is a theme that became big throughout the series. 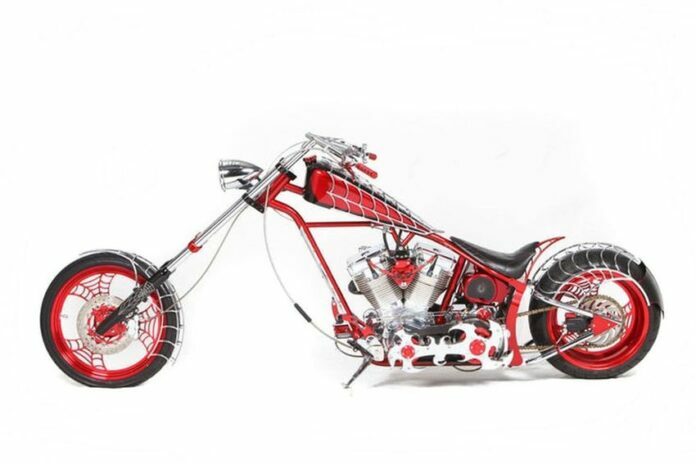 The bike is a real beauty with a red and white finish and an awesome web design. Despite the fights and arguments getting the most media attention, bikes were also a big part of the press focus. 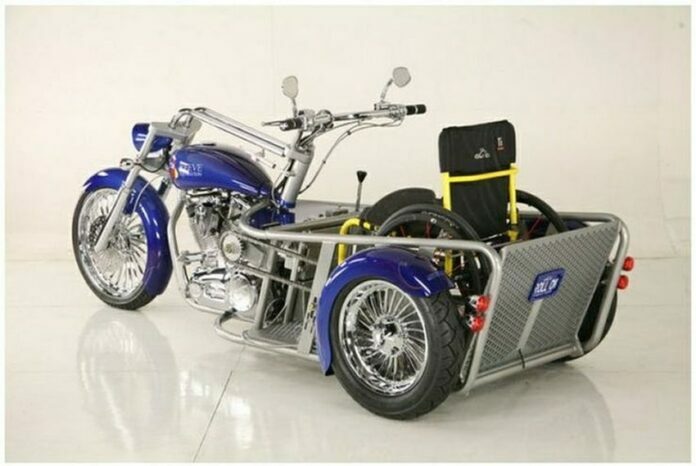 The Christopher Reeve motorcycle for example was built for people with spinal injuries, with an area where a wheelchair could be fitted safely and soundly. 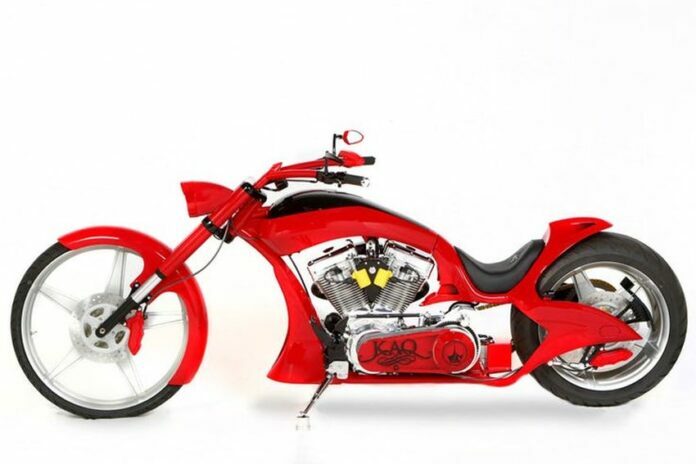 Senior built the bike for the Christopher and Dana Reeve Foundation, set up by the legendary actor in back in 1982. 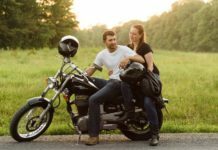 They wanted to bikers who suffered spinal injuries, which is a thoughtful and beautiful thing to do.